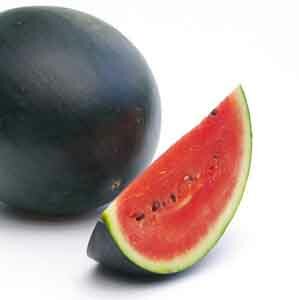 ‘Sugar Baby’ is the answer for anyone longing for the taste of home-grown watermelons but short on garden space. Compact vines grow to just 6’ (2m) and each plant sets 4-6 melons. “Baby” sized melons are small enough to fit in most refrigerators, even without slicing. Produces sweet red flesh with minimal seeds.